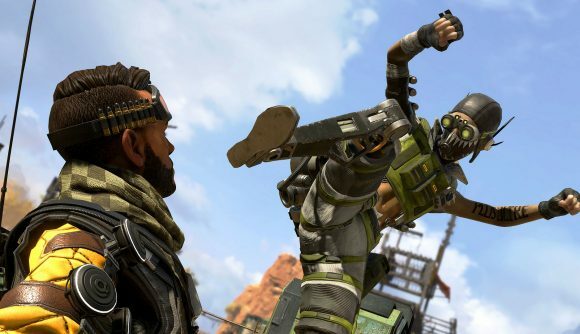 Apex Legends received an update earlier this week, and with it came new character Octane – a rather frantic little fellow with a rapid and explosive playstyle. It appears he hasn’t been born entirely from the creative mind of the team at Respawn, however, as keen-eyed fans were quick to notice that Octane seemed heavily inspired by the Titanfall 2 speedrunning community. Cash Mayo, a Titanfall 2 player, currently holds the world record for running the game’s Gauntlet tutorial in exactly 12 seconds. They were able to do so using the propulsion gained from some choicely placed frag grenades at exactly the right time. Those of you who have played Octane will be aware of his manic and speedy playstyle, and but it’s hilarious to think that a nimble and frankly scrawny character was inspired by a mech-suited soldier. It’s not all speculation either. Respawn subtly confirmed the homage in their character reveal for Octane on Youtube, which displays an annotation that reads “What is the Gauntlet?” at exactly the 12 second mark. Cash Mayo has since commented via Reddit on the homage, saying that they were ‘in shock’ that their speedrun had got such notice. Respawn have even gone further into the backstory, explaining that Octane’s prosthetic legs aren’t simply a cool piece of futuristic character design, but rather are the result of this explosive running style gone wrong. Since the Gauntlet is actually a VR exercise in the Titanfall universe, we have to question just exactly how wise Octane is to attempt such over-the-top stunts. Still, his frag-happy approach is what makes him so fun to play. If you don’t quite yet see the parallels, check out this video of Cash Mayo’s insane 12 second run of the gauntlet. Be warned though: blink and you’ll miss it. Have you been playing Apex Legends since it’s update? Check out our character guide to see who you should be taking to the fight.